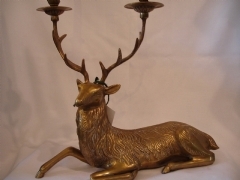 Solid brass reclining deer candle holder that takes two tapers. 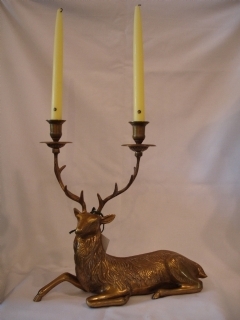 Beautiful additon to any table or sideboard. Size: 14" high, 14" long, and 6" deep.